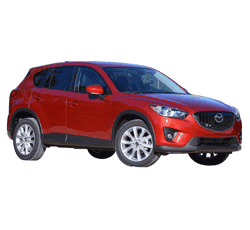 The Mazda CX-5 first debuted in 2013 as a replacement for the poorly selling Mazda Tribute. The '13 CX-5 was much more stylish, a bit larger and had more technological bells and whistles that the Tribute. The '13 CX-5's sales numbers were good enough for a sequel which arrives in the form of the 2014 model. This midsize crossover is sold in three different trims: Sport, Touring and Grand Touring. The CX-5 takes on a wide range of midsize crossover competitors including Honda's CR-V, Subaru's Forester, Toyota's RAV4, Nissan's Rogue and Ford's Escape. The Escape provides a souped up turbo powered engine and perhaps the best interior out of all the midsize crossovers. The CR-V is more of a family friendly crossover but lacks the pizazz of the CX-5. The Forester's main advantage is its off-road capabilities. The advantage of the CX-5 is that it is well rounded in all facets and deserves strong consideration from buyers in the market for a moderately priced midsize crossover. This year's CX-5 offers more powerful engines in the Touring and Grand Touring trims without compromising fuel efficiency. These two trims sport a new four cylinder engine with 184 horses and 2.5 liters. A new collision warning system called Smart City Brake Support is available. It automatically applies the CX-5's brakes in certain scenarios when driving 19 mph or less. HD and Pandora radio are now offered as well. This year's CX-5 is also the first complete Mazda with SkyActiv technology which is a design scheme that uses the lightest possible materials to boost the vehicle's fuel efficiency. The result is a midsize crossover that is towards the head of the pack in fuel economy. 1) Drivers will be happy to know that the CX-5 Sport, Touring and Grand Touring trims each offer all wheel drive when paired with the automatic transmission. CX-5s with manual transmission will be equipped with only front wheel drive. 2) The CX-5's SkyActiv technology gives it fuel economy that is towards the top of its class. The Sport CX-5s average 35 mpg on highways while the souped up Touring and Grand Touring trims average a solid 34 mpg on highways. CX-5s with automatic transmissions and all wheel drive attain an average of 25/32 mph on city roads and highways, respectively. These numbers are outstanding for a midsize crossover. 3) The CX-5 is incredibly safe. The Insurance Institute for Highway Safety (IIHS) has awarded the vehicle its highest rating (Good) for side impact, small overlap frontal and frontal offset crash tests as well as rear crash and roof strength. The National Highway Traffic Safety Administration (NHTSA) rates the CX-5 with the best possible score of five stars for its performance in side pole tests and side impact tests. 4) The CX-5 is very stylish compared to many of its midsize crossover competitors. Like most Mazdas, it has a sporty aesthetic with a roof spoiler, lifted window lines, an elongated hood and sizable wheel arches. 5) The vehicle's interior is just as stylish as the exterior. It has sharp silver trim that contrasts nicely with a jet black center stack. 6) There is significant passenger space compared to in class competitors. While one of the CX-5's top competitors, the Honda CR-V, is widely lauded for its family friendly characteristics, it has less interior passenger space than the CX-5. The CR-V has 101 cubic feet of passenger space compared to the CX-5's 104 cubic feet. 7) Aside from the impressive crash test performance results and Smart City Brake technology noted above, the CX-5 also features other important safety elements. It has anti-lock brakes, a rear view camera (on Touring and Grand Touring models), stability and traction control, blind sport monitoring and more. 8) The vehicle drives like a dream. It handles as the driver expects and its steering is responsive and precise. The CX-5 up shifts and down shifts timely and efficiently so that revs aren't wasted when they aren't needed. 9) The CX-5 has a long list of amenities including a power driver seat, heated front seats, leather upholstery, steering wheel controls, Sirius satellite radio, fog lamps and more. 10) The CX-5 steps up to the plate where it matters most: the driving experience. The vehicle just feels right. Most CX-5 drivers come away from their test drives with no complaints. It takes corners with ease even at relatively high speeds and has incredibly responsive braking and steering. 1) The dashboard is a bit simplistic compared to competitors. The lens on top of the climate controls causes annoying reflections when the sun is out. 2) While the Touring and Grand Touring trims come with improved engines in 2014, the Sport trim is still lacking in power. It has the same underwhelming engine as last year, a four cylinder, 2.0 liter, 155 horsepower engine with 150 foot=pounds of torque. The Sport feels a little slow and lacking in acceleration when filled with cargo and attempting a steep uphill climb. 3) There are significant blind spots over drivers' shoulders and the CX-5's triangle shaped windows make matters worse. 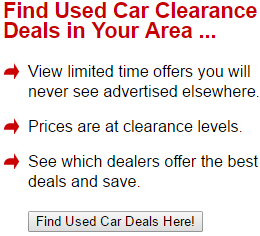 Yet the problem can be solved with the rear view camera provided in the Touring and Grand Touring trims. The 2014 CX-5 is an excellent value with a starting MSRP of around $22,000. Grand Touring CX-5s loaded to the hilt will still come in at under the $30,000 mark. Drivers will be ecstatic with the CX-5's responsive steering, agility and new power boost. It says a lot that the only caveat that potential buyers should be aware of is the fact that the Sport trim sometimes lacks quick acceleration. Those who upgrade to the Touring and Grand Touring trims will be especially happy with their peppy and luxurious new crossover.